I did not update this site that much, since this should be update because it says that it's my daily update. But, because I am sometimes lazy I did not update this and just leave those the days past. However, there are times that against your welll, there are experiences that would really happen to everyone. Inorder for us to learned some lessons. 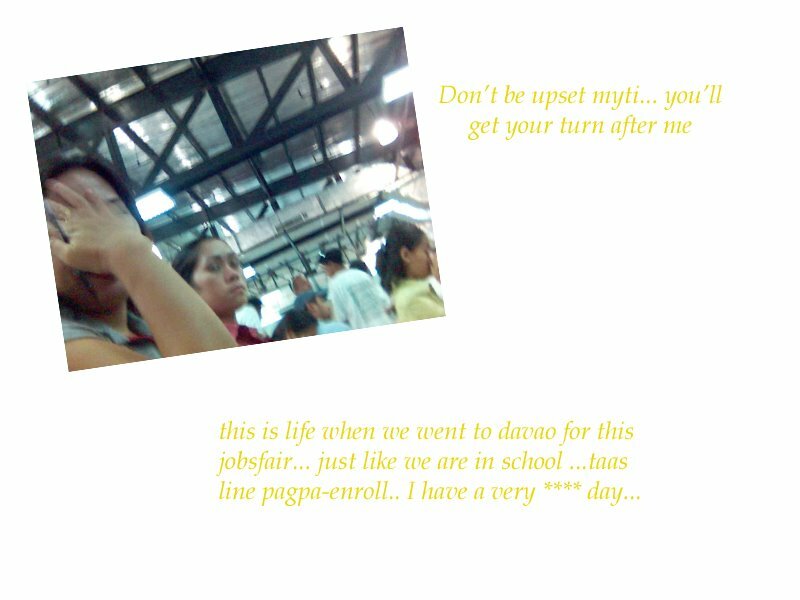 Last April 4, 2006 Myti aka Mistica...yes she's a very familiar person...invited me to go with her in Davao City for this so called "jobsfair" can u imagine...I never went to a jobfair at our town and this? 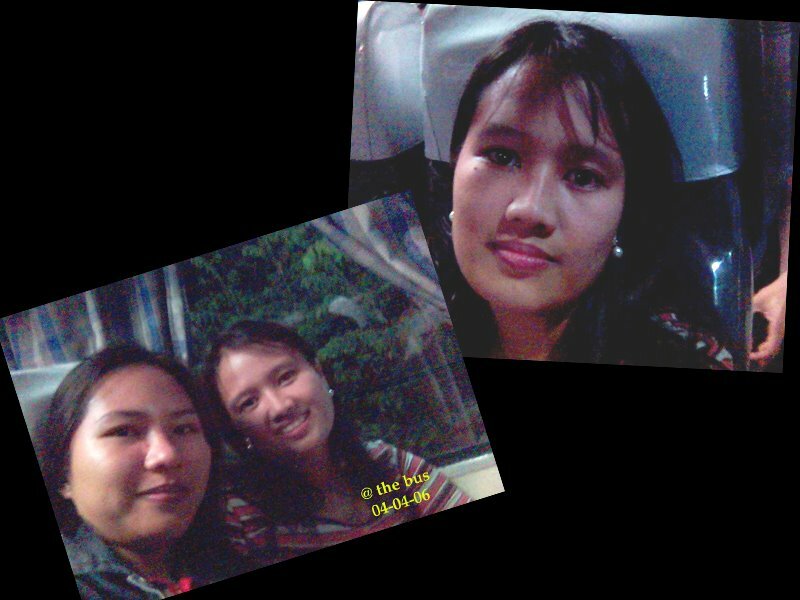 We need to ride on 3 hours travel from GenSan to Davao? and I even take a day off... what do I get? nothing...but experiences... my feet hurts, i'm blaming mistica, even the scuba diving? just never workout...bad luck and bad day... meet some college friends at SM chat, takes pictures. At least from that I tried to enjoy myself.